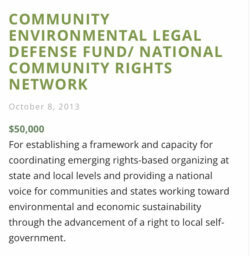 The Community Environmental Legal Defense Fund or CELDF is one of the most extremist groups out there. It abuses the law and Leonardo DiCaprio funds it. I have wondered, for the longest time where radical Tom Linzey, who, so far as I know, has never once been gainfully employed doing anything productive, gets the money to pursue his totalitarian fantasies. 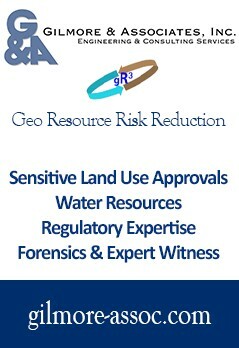 The Community Environmental Legal Defense Fund or CELDF has been the subject of numerous posts here. I view his extremist program, one of abusing the law and bankrupting communities to get his way, as profoundly dangerous. Why? Because his environmentalism is anything but. He is, rather a radical who wants to disrupt every aspect of our rule of law and upend our Constitution, putting the likes himself in charge as representatives of the rocks, rivers and trees. But, who enables this Marxist extremist? Who makes it possible for his organization to continue in this grand deception as he grows fat and happy? The latest 990 return filed with the IRS by the CELDF claims neither Linzey nor his girlfriend Stacey Schmader, who serves as Secretary/Treasurer, take a salary from this corporation they use to attack corporations as they manipulate others to advance their Marxist cause. They spent just shy of $779,000 in 2015 and had savings of over $1.4 million. Some $130,000 of their expenses went to legal fees, so perhaps Linzey pays himself that way or hires himself out to the communities CELDF deliberately entangles in expensive loser lawsuits. Either way, it doesn’t appear he’s throwing his own money into the CELDF, meaning it comes from elsewhere. We know he’s milked a wide assortment of trust-funders from elitist foundations for money to use in attacking the capitalism that built those fortunes. These include the Heinz Endowments, the Park Foundation, the Boston Foundation and numerous others as well as the money-laundering Tides Foundation, which gave him $100,000 in both 2015 and 2016. We also know the Wallace Global Fund has been a big funder, throwing him a cool $225,000 in 2013, for example, including $50,000 for some “networking” that’s now metastasizing into statewide referendum initiatives similar to what we’ve seen in cities such as Youngstown, Ohio. The mission of CELDF is to drive a new movement for environmental protection which for the first time elevates ecosystems and species from being considered “property” under the law – and thus “right- less” – to being rights-bearers. Treated as property, environmental laws regulate the “use” of nature, such that these laws legalize harm and exploitation of the environment. Under this legal framework, ecosystems and species are facing collapse. Today CELDF has assisted close to 200 communities across the U.S. to establish environmental rights of communities and nature, and stop factory farming, fracking, water privatization, and other threats as a violation of those rights. This includes the first-in-the-nation laws codifying the Rights of Nature. There is nothing here, of course, about the abysmal failure rate of all these unconstitutional maneuvers or the costs to the communities dragged into these Marxist schemes on the false premises of more democracy and self-government. The only democracy or self-government that would exist under such a system where the rocks, rivers and trees were granted personhood would, of course, be exercised by radical lawyers such as Linzey who posed as their representatives to “speak” for them. This is the essence of the CELDF scheme but, Little Leonardo will never figure that out, of course. He’s too busy building his environmental bona fides so he can freely jet and yacht around the world without guilt or pressure from others. Little Leonardo, he of Titanic ego and Liliputian smarts, has been giving money away for such causes, and perhaps the CELDF, for some time now, but there’s a reason we haven’t noticed. It turns out he, too, has been laundering his donations and only recently set up as a legitimate foundation. On the evening of July 20, under a tent at a vineyard in St. Tropez brimming to his specifications with booze, billionaires and babes, Leonardo DiCaprio was preparing to host one of the glitziest charitable events of the year: the third annual fundraiser for his Leonardo DiCaprio Foundation. Earlier that same day, under far less glamorous auspices half a world away, the U.S. Department of Justice was filing a complaint with the U.S. District Court in downtown Los Angeles that suggested the recent Oscar winner is a bit player in the planet’s largest embezzlement case, totaling more than $3 billion siphoned from a Malaysian sovereign wealth fund called 1MDB. While the complaint does not target DiCaprio — he’s referred to twice in the 136-page document and only as “Hollywood Actor 1” — the scandal shines an unfamiliar light on the charitable foundation of the most powerful actor in Hollywood thanks to the way the LDF has benefited directly from DiCaprio’s relationship with key figures in the saga. And much like the gala in St. Tropez, with its expressions of one-percenter excess ostensibly in support of saving the environment (guests helicoptering in to dine on whole sea bass after watching a short film about the dangers of overfishing), a closer look at the LDF itself raises questions about its ties to the 1MDB players as well as the lack of transparency often required (or offered in this case) for the specific structure the actor has chosen for his endeavor. Set up not as a nonprofit but instead as a donor-advised fund (DAF) attached to the California Community Foundation, which is a nonprofit, the LDF therefore is not required to file itemized public disclosures about its own revenue, expenditures and disbursements. 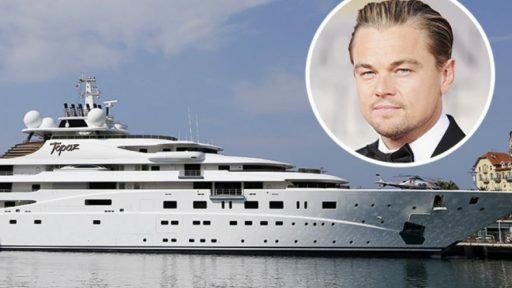 “It’s difficult to characterize the giving of the DiCaprio Foundation because its status as part of the CCF makes it impossible to look at its finances,” industry trade journal Inside Philanthropy noted in 2015. Despite repeated efforts, DiCaprio, 41, the LDF and the CCF all declined to fully answer fundamental questions related to transparency and accountability of the foundation — a decision that disappoints charity experts consulted by THR. “Everything might be perfectly fine, but we don’t know,” says Aaron Dorfman, president of the Washington, D.C.-based National Committee for Responsive Philanthropy, of the LDF. Among the questions asked: Who pays for the LDF’s six-member staff (the CCF is not allowed to cover the expense) as well as underwrites the events and other operating costs? What’s the total overhead, and how much of the money raised goes into operations versus charitable grants? How much Little Leonardo donated recently is anybody’s guess because his own foundation’s latest return for 2016 (up through May 31, 2017) shows zero receipts and expenditures, it only recently having secured tax-exemption, and the California Community Foundation hasn’t yet filed for the period. 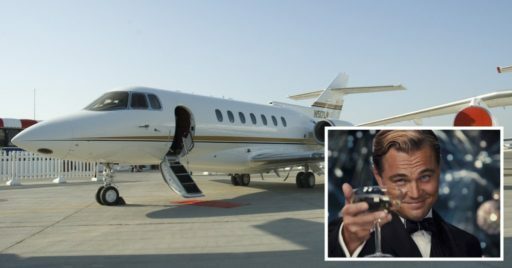 What we do know is the CELDF is one of Little Leonardo’s playthings and a license to engage in conspicuous consumption while pretending to be a great enviro. That he chose to flirt with a Marxist CELDF that would, if it could, mothball his jet, cap his earnings at maybe $75,000 per year and squelch his protests of that eventuality, demonstrates either his ignorance or lack of principle. But, then again he didn’t have much in either category at the outset, did he? He’s also doing the same lobbying without a license the CELDF does. The CELDF tells the IRS, in fact, it only spent $3,606 lobbying in 2015—a mere 0.4% of its budget—when everything single thing it does in promoting its “community rights” ordinances and ludicrous “rights of nature” fall directly into those categories. It seems Linzey and Little Leonardo are both rather large liars, in fact. Typical big celebrity hypocrisy. Big yachts, private planes, big events, high energy and material consumption, abuse of the environment, suppression of others rights, while pretending to be environmentalists. Perhaps this is a new form of “method acting”? No matter what, we can only hope Karma comes a calling, the sooner, the better.